The Danish national final “Melodi Grand Prix” took place in the former bidding city for the ESC 2014 Horsens in Jütland. The fantastic show included ten entries for the ESC. In an exciting battle for the ticket to Stockholm there was also the big favourite “Never Alone” by Anja Nissen, which has been composed by the ESC winner Emmelie de Forrest. At the end Lighthouse X with “Soldiers Of Love” received the majority of the televotes, SMS votes and app clicks with 42%, while Anja Nissen received only 36%. It will be the second successive boy group for Denmark, last year Anti Social Media did not make it into the Grand Final with “The Way You Are”. The three singers of Lighthouse X are Søren Bregendal, Johannes Nymark and Martin Skriver. All of them are singers, actors and close friends. Together they had the chance to sing in front of the Copenhagen town hall on New Year’s Eve 2015. They have released several songs such as their debut single "Kærligheden kalder" , “Hjerteløst”, and “Nattens gløder”. The aim of Lighthouse X is to make the world a slightly better place to with the power of music. The song “Soldiers Of Love” is a smooth and inoffensive pop song with a love theme. The three handsome guys will present their ESC entry with all their energy to make a better placement than last year. But is this song strong enough to stand out? The very first Danish entry in 1957 was called “Skibet Skal Sejle I Nat” and sung by Birthe Wilke and Gustav Winckler. Denmark achieved a fantastic 3rd place immediately. So this year it will be the 45th time for Denmark in the Eurovision Song Contest. There has been a big gap in the participation from 1966 to 1978. Denmark has paused because of a lack of public interest, luckily these days are gone! In all that years, Denmark could reach the Grand Final for 41 times. In former years when it was only allowed to sing in the native languages, so this might have been seen as a disadvantage for Danish entries – and also entries of other countries of course. That's why the Danes were so eager to compensate the language disadvantage with good and happy compositions. So the Scandinavian Happy Song was born. The "Happy Scandinavian song" has been dominating in the 80's and 90's, which has also been used in Norway and Sweden. 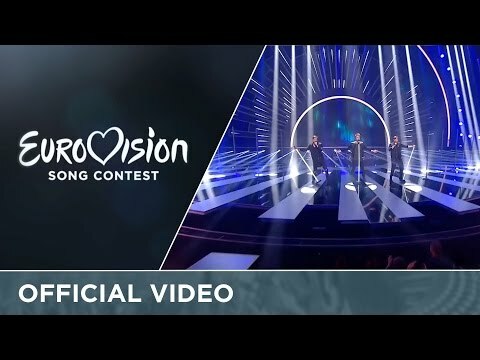 Nowadays all Danish entries are being sung in English. The statics say that the chance to reach a Top10 position for Denmark is at 56%, so not too bad. It has often been said that the Danes give all their points to the other Nordic countries and vice versa. But this is a quite natural phenomenon, as the music taste is similar and singers are well known in the neighbour countries.